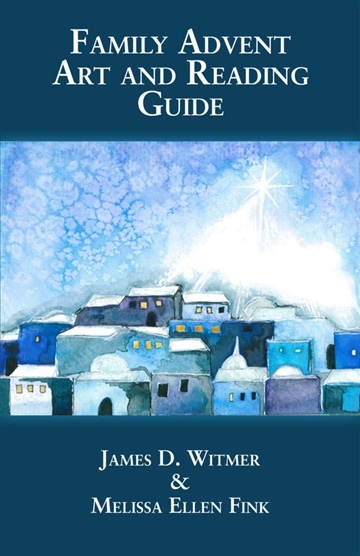 A guide for daily Advent readings, with recommended Scripture passages and corresponding chapters from The Jesus Storybook Bible for younger families. Includes three original children's stories for days not covered by the JSB. Each day includes an exclusive original painting by Melissa Ellen Fink for Christmas ornament crafts, and instructions for making the ornaments. As a boy, James wanted to be a policeman. Well, he wanted to be Batman, but he would have settled for policeman. Falling in love with books and music shifted his focus, but not his desire to change the world. By college he intended to write novels, be an investigative journalist, and play bass in the next U2 - although he would have settled for the first U2 if they had asked nicely. Now, an undisclosed number of years after college, he serves as Managing Editor for StoryWarren.com, performs most often for his three kids, and works as Director of Online Marketing at a local giftware company. He spends his free time digging in the garden with his wife, and is pleasantly surprised to find that loving his family makes real and lasting change in the world.